Girls Rock! 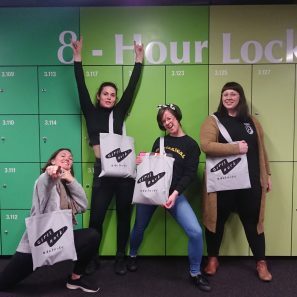 Adelaide is a not-for-profit youth organisation that provides a music-based week-long school holiday program for girls, trans and non-binary youth aged 10-17 years old. Girls Rock! is built on a platform of feminism, inclusion, diversity and accessibility. Beginning around 25 years ago in the United States and spreading across the globe since, Girls Rock! has made it to our corner of the world with programs now held in Canberra, Brisbane, Melbourne, Sydney, Wollongong, Perth and Aotearoa. Girls Rock! 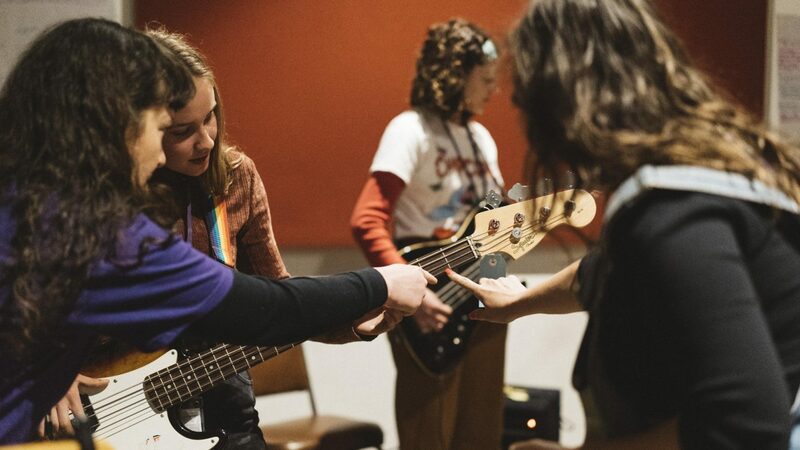 attendees form a band for the week, learn an instrument, participate in creative workshops, see live bands, and collaborate to produce an original song. 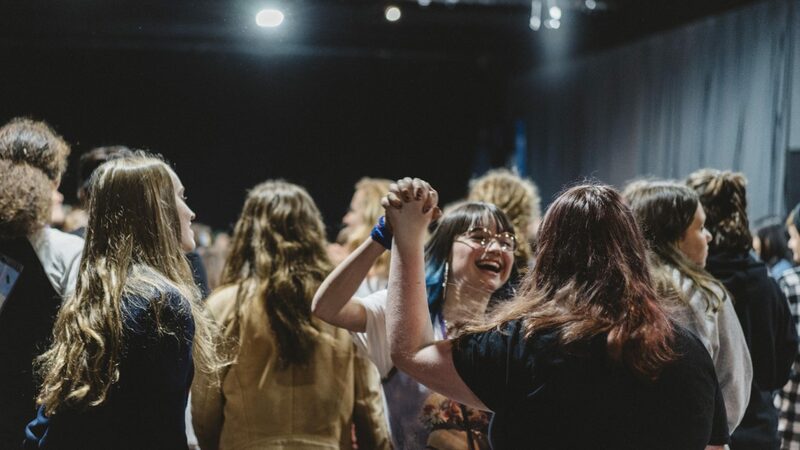 At the end of the week attendees experience what it’s like to perform live for an audience at our Girls Rock! showcase held in a real live music venue! The program is staffed by mentors and instrument instructors, who have youth, music and/or education experience. Our first program will be held in July 2019. We can’t wait! Acknowledging the difficulties faced by girls, trans and non-binary young people, Girls Rock! provides a safe space for our campers to be unapologetically loud, to raise their voices and to make music their way. The program uses the medium of music to boost confidence and empowerment, while also building teamwork and communication skills. 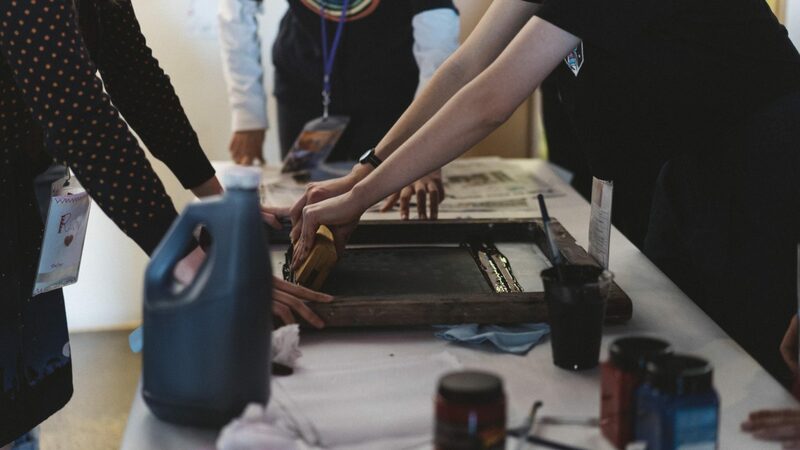 Campers participate in workshops ranging from screen printing and zine making to songwriting and finding inspiration. 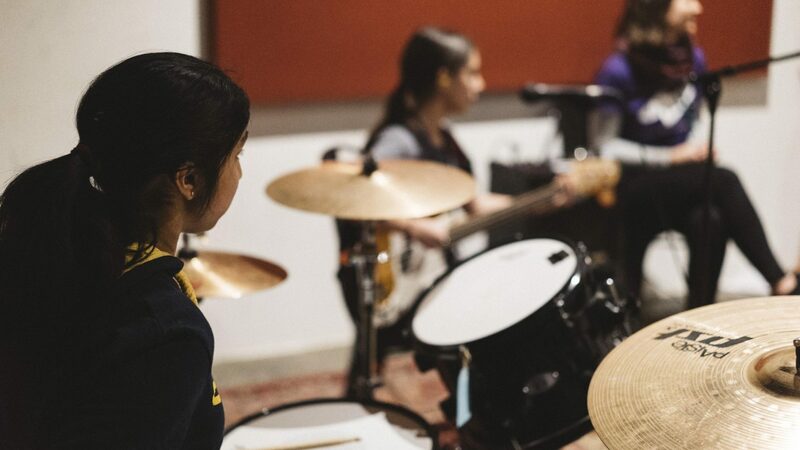 Choosing from drums, guitar, bass, vocals or electronic music, campers get intensive instruction from real life musicians each day of the program, and work with mentors throughout the week who provide support, encouragement and leadership. Girls Rock! Adelaide is a not-for-profit, but we are starting from scratch. To put on the program, we will need funding to pay for a venue, catering, expertise, equipment, materials and a host of other expenses along the way. Also, as an arts organisation, we want to ensure all creatives involved, including workshop facilitators, instrument instructors and lunchtime concert performers, will be paid for their contributions as we know that too often this work is undervalued. Any additional funds raised beyond our target will go towards ensuring no camper is turned away due to financial difficulties. Through your generous donations we will be supporting the next generation of musicians to stand up, be brave, and tell their stories. There’s not much that’s more empowering than that. Girls Rock! Adelaide acknowledge the Kaurna people who are the traditional owners of the Adelaide Plains, and we acknowledge their ongoing deep connection to this land. We pay our respects to elders past, present and emerging. We are a not-for-profit organisation that is part of a global network of Girls Rock! 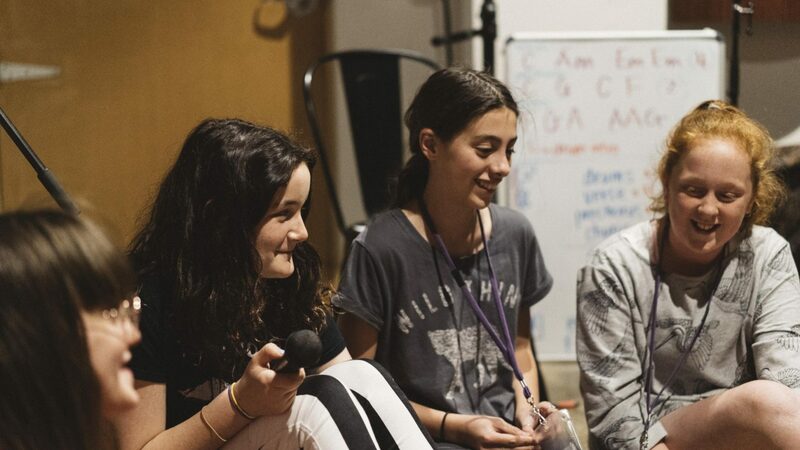 programs for girls, trans and non-binary youth aged 10-17, aiming to grow confidence and skills through music. Our music programs run over the space of a week (Monday – Friday) during school holidays. Attendees form a band, learn an instrument, participate in creative workshops, see live bands, and collaborate to produce an original song. At the end of the week attendees experience what it’s like to perform live to an audience at our Girls Rock! showcase. Our first program will be held in July 2019. • Amplify voices that might otherwise go unheard. Music, art, and creative expression are our tools in building a constructive and celebratory movement. We strive to foster a positive, inclusive atmosphere where young people can grow and experiment free from judgement.